Photomath blog: Join our Beta testing program! Join our Beta testing program! Over the last month, our users from all over the world have been using PhotoMath iOS and Windows Phone apps to scan and solve tens of millions of math problems. For them, and for everyone else just starting out with PhotoMath, our amazing team has been working tirelessly to provide even more useful features in our upcoming app updates. Become our official Beta tester! Your every-day usage will help improve PhotoMath by giving us real-world testing data. As Beta testers you will become our elite users who’s responsibility will be to report all the issues with recognition of math expressions, step-by-step solving or general problems through our simple in-app feedback dialog. 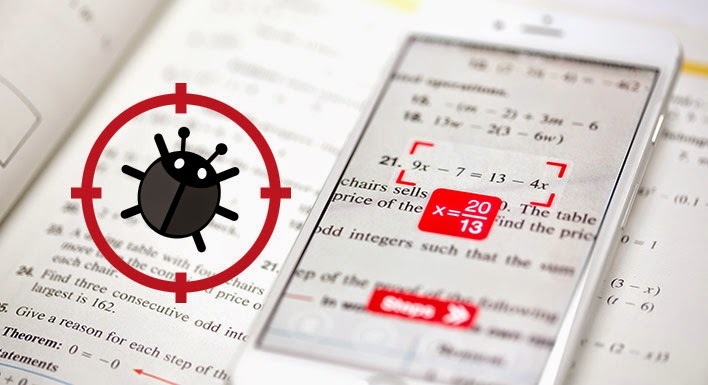 Since the Android ecosystem is so diverse, it’s important for PhotoMath team to get your feedback in order to squash various device-specific bugs and make PhotoMath a great experience for everyone. With your help, we will not just develop a smooth and bug-free PhotoMath, but also get the direction to go with our new features. To apply for the Beta testing program, follow the instructions on www.photomath.net/beta.